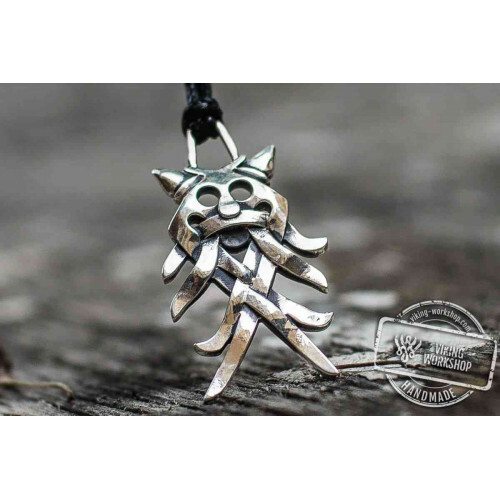 Aegishjalmur is a popular symbol in Icelandic mythology. It were created to induce panic and fear among the enemies. Sometimes its power caused stupor among the enemy warriors. The helm of terror is often associated with snakes, since their venom causes a similar reaction. 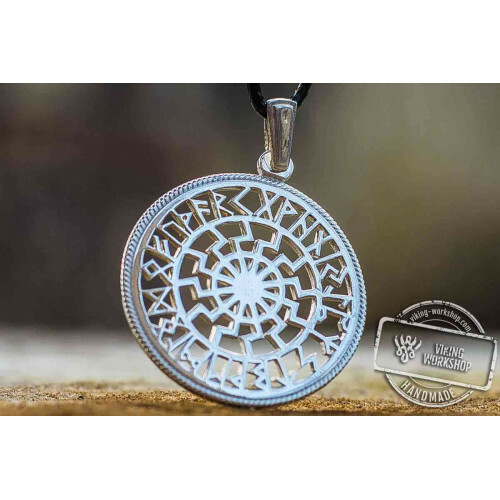 The debate regarding the meaning of Aegishjalmur symbol is still ongoing, and this results in more people looking to buy Aegishjalmur or Helm of Awe Symbol Bronze Pendant. 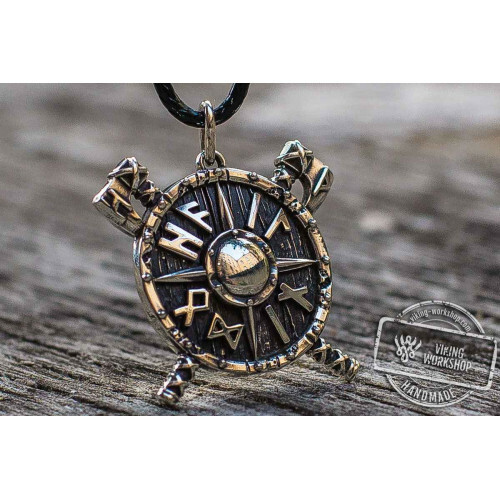 This elegant accessory is a perfect purchase for yourself or as a gift to a friend or loved one. 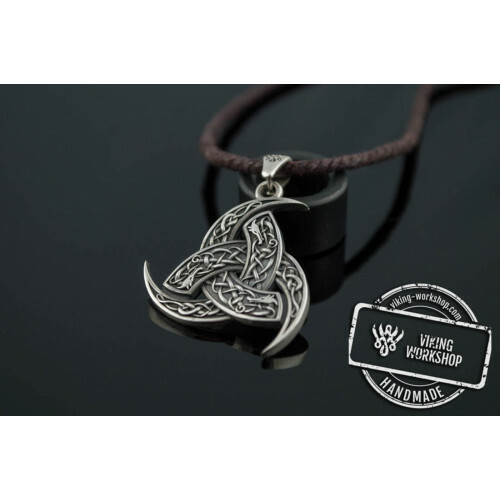 We have Aegishjalmur or Helm of Awe Symbol Bronze Pendant for sale available by predorder only. Usually, our craftsmen take 4-7 days to create one item, and artisanal work makes the resulting product absolutely unique. 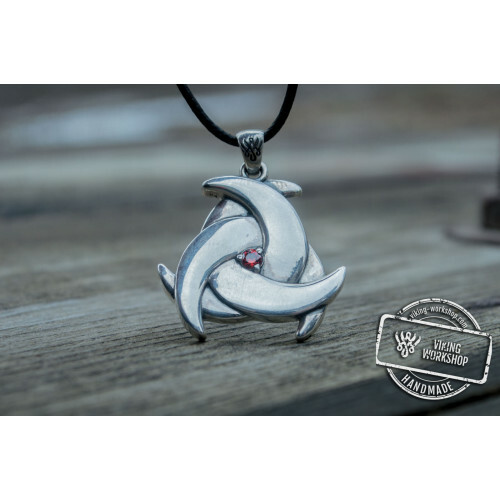 This suspension is very similar to Aegishjalmur or Helm of Awe Symbol Sterling Silver Pendant, therefore, if you wish, you can purchase a pair for different dress styles. 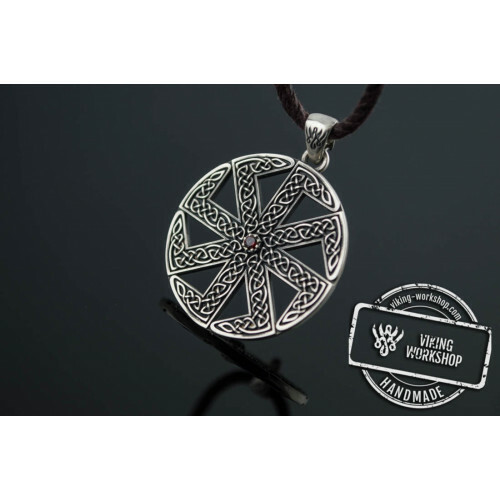 When you buy Aegishjalmur or Helm of Awe Symbol Bronze Pendant you can enjoy a handcrafted product and careful packaging in the branded box, as well as bonus CD, which contains the best folk songs of the Nordic peoples. 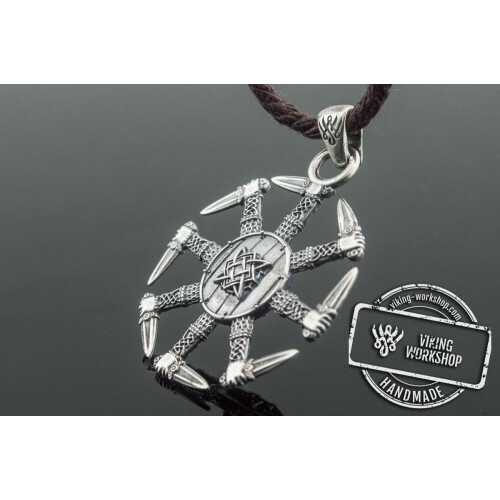 The pendant comes with a strong cord about 28 inches long. 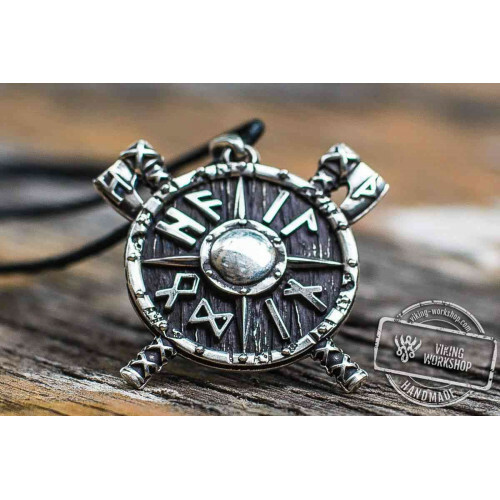 To complete the image, we also recommend to purchase Aegishjalmur or Helm of Awe Symbol with Oak Leaves Sterling Silver Viking Ring from the same line.